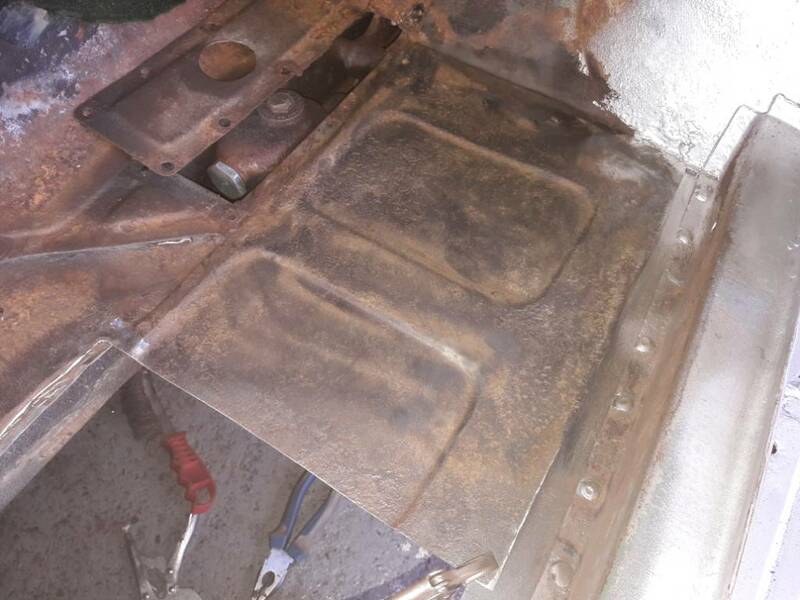 Ive patched on previous minors except for my latest one where i replaced floor pans. 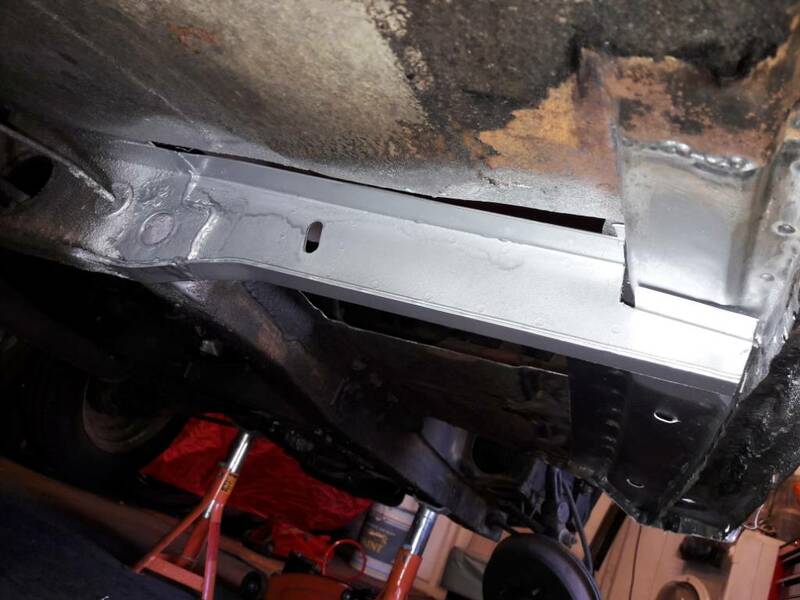 I wish i had done so on the others because it was a much tidier job and hopefully longer lasting. 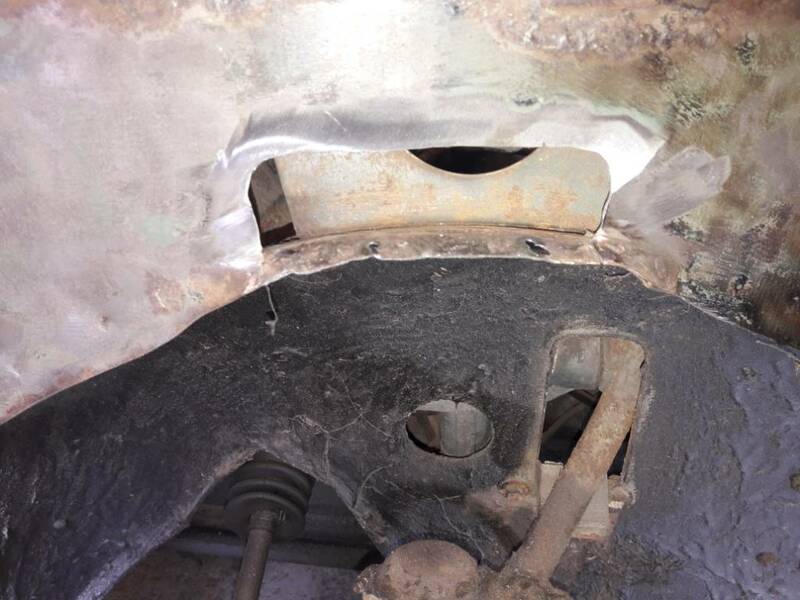 In for a penny in for a pound, this is becoming quite a repair job now. 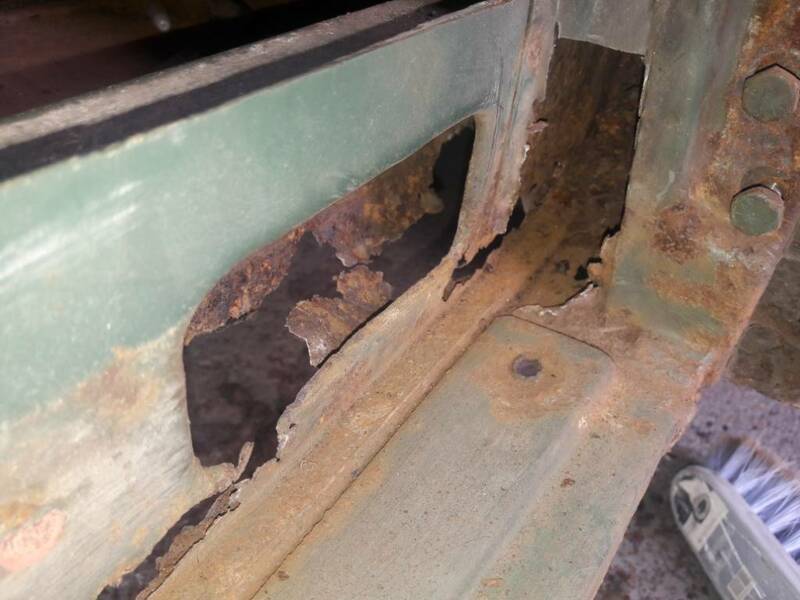 The inner sill and boxing panel need some work as well. 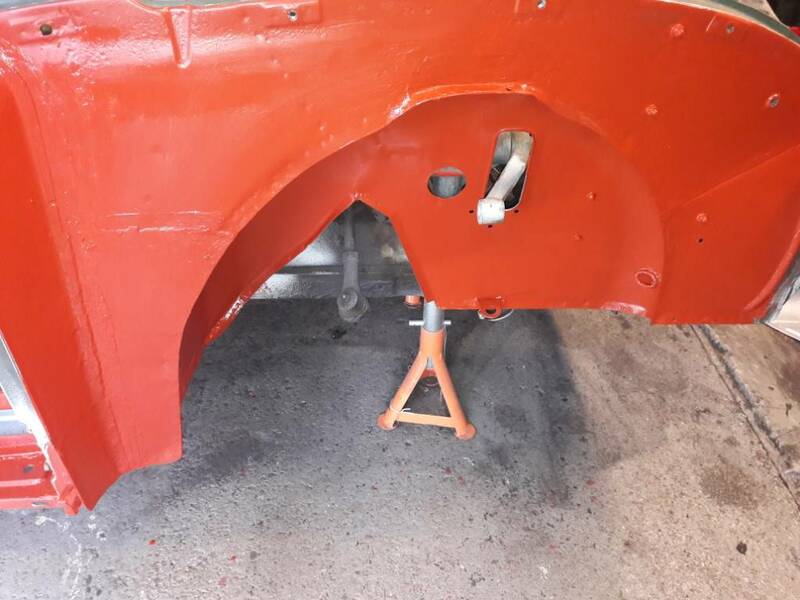 Most of the rust cut out now just a few bits left in place to assist alignment, new panels ordered from ESM hoping to start rebuilding it all next weekend. 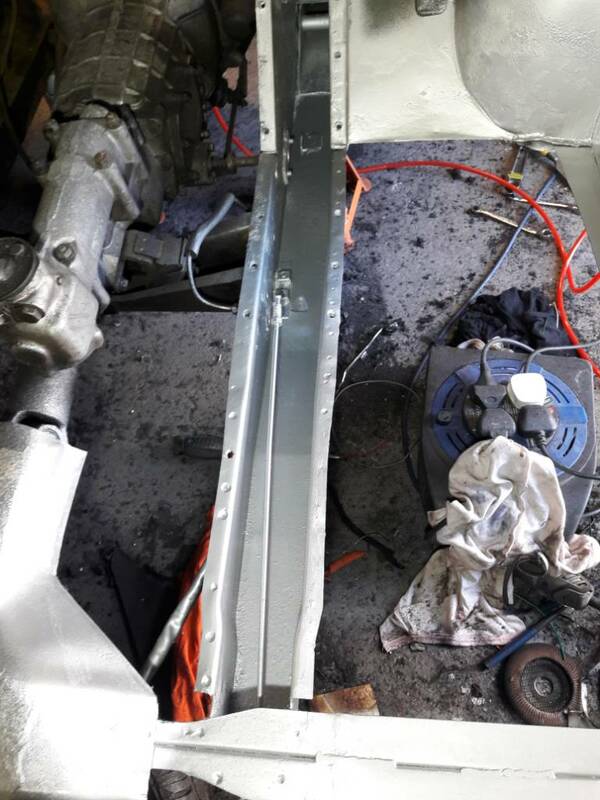 The sill area is starting to look a little better now. 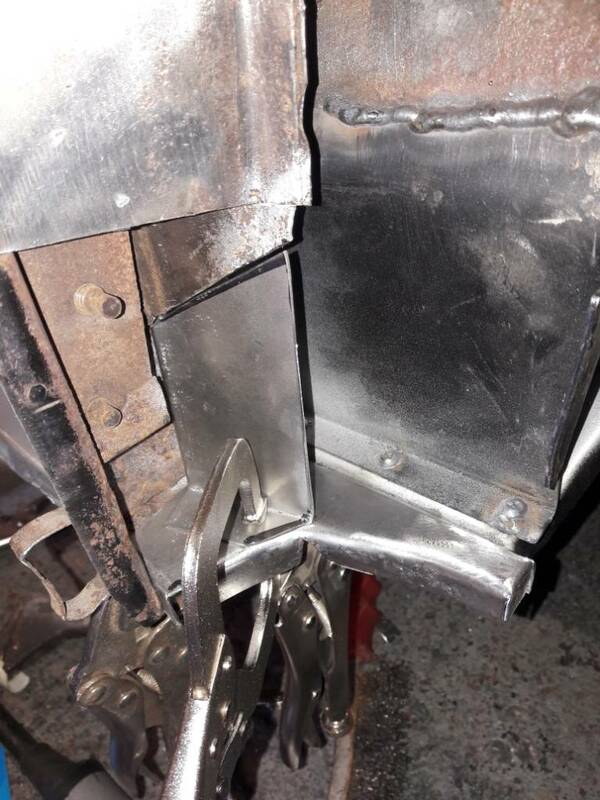 Started to weld up the front of the boxing plate but ran out of gas this morning, so made up a few few small infill patches today ready for welding next weekend. 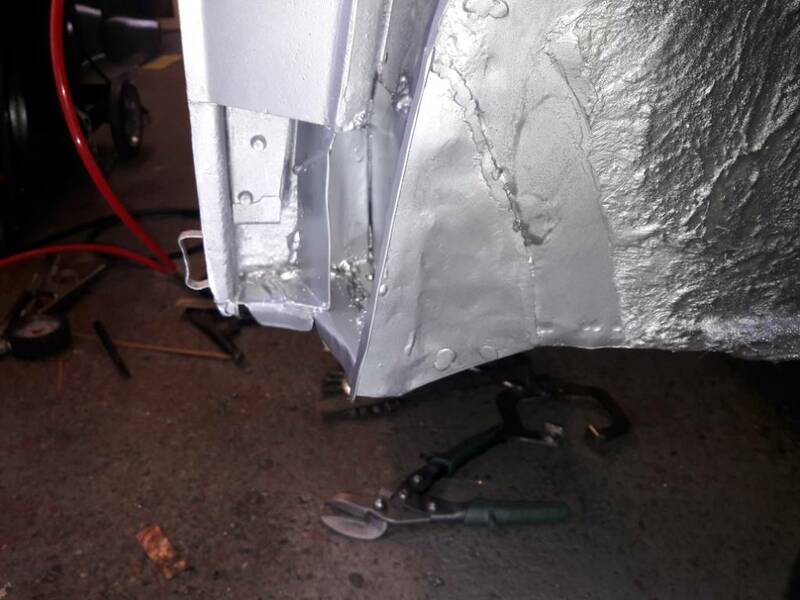 More progress today inner wing sill area nearly finished just a couple of rivet nuts to put in to bolt the wing back on. 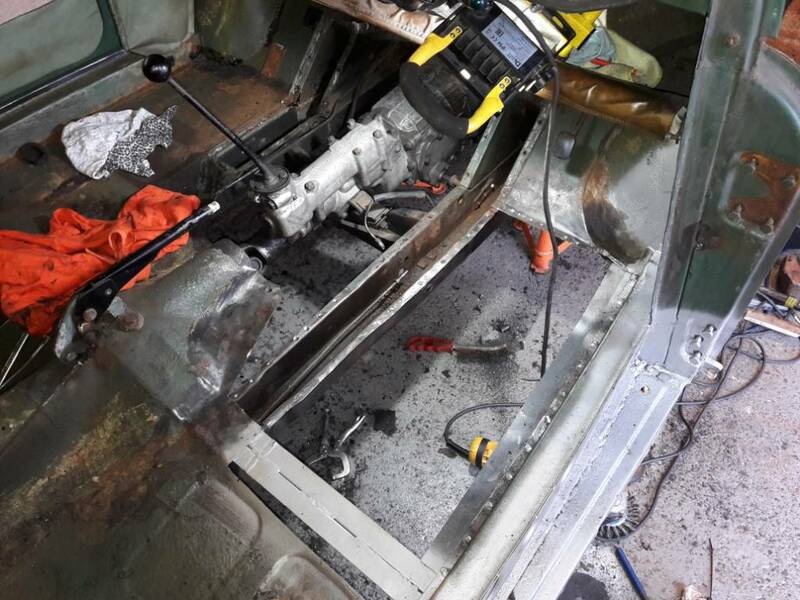 Lots more to do in the floor and cross member, it has turned out to be quite a lot of work it only started as a small job to dig out a bit of rust on the floor. 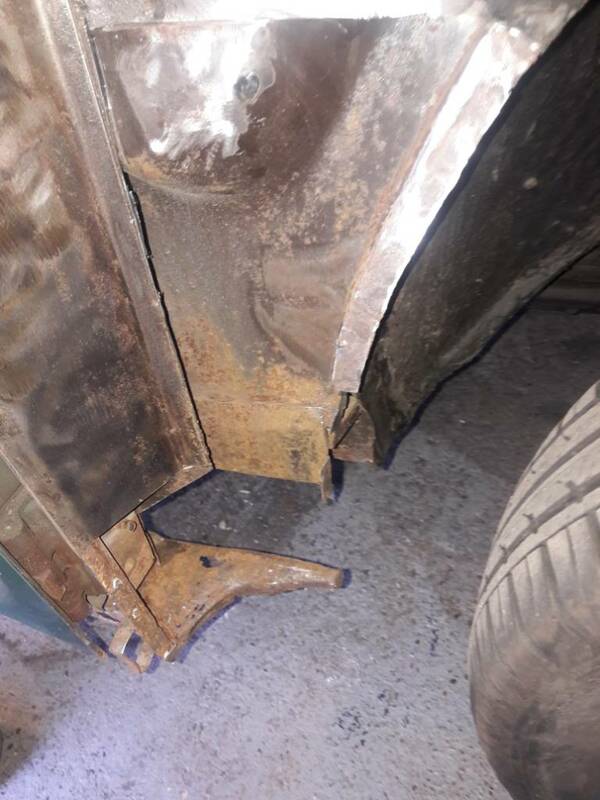 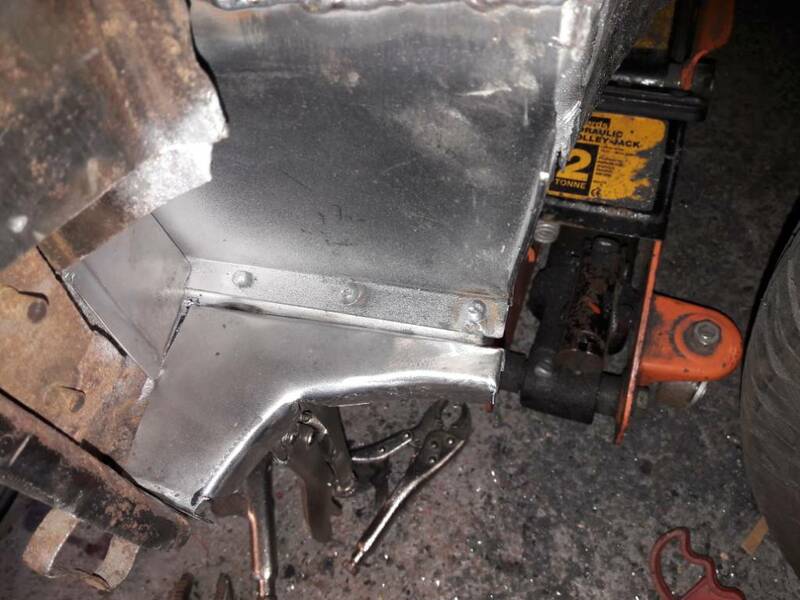 Fitted a new cross member end today this went quite well and the torsion bar fits great I now need to decide how to tackle the floor I cant decide to replace the full front floor section with a new panel or patch up the large hole I cut at the beginning of the floor repair. 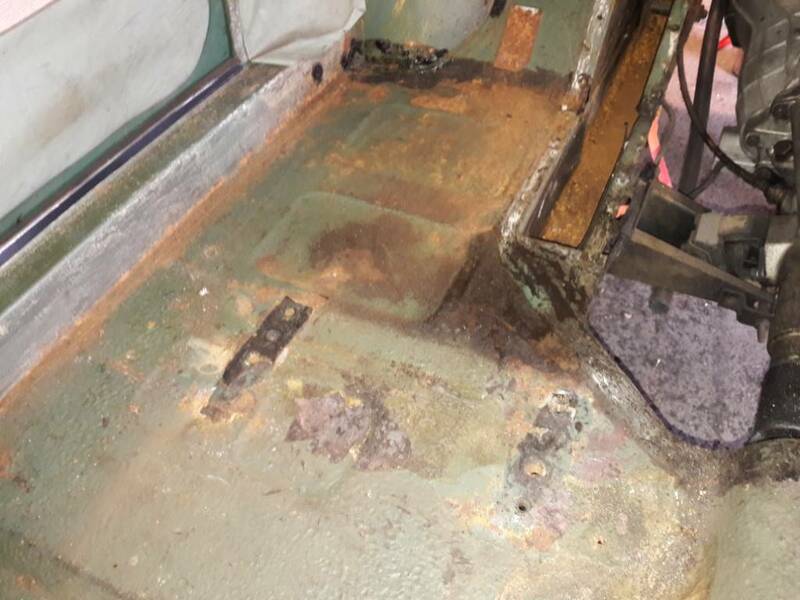 The remaining floor is very solid and just a little bit pitted under the paint and surface rust is it worth disturbing the solid part, but if I remove the remaining floor it will also give me good access to clean out the chassis rail and service the master cylinder replace the brake pipes and remove and grease the peddle linkages, decisions. 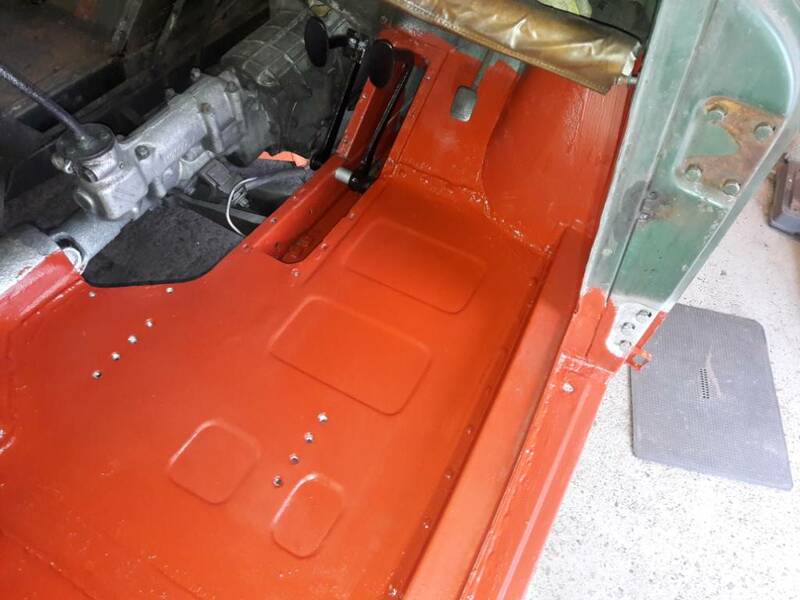 What sort of a job is it to replace the full floor panels, being new to Minors and this is my first rolling restoration its not something I have done before. 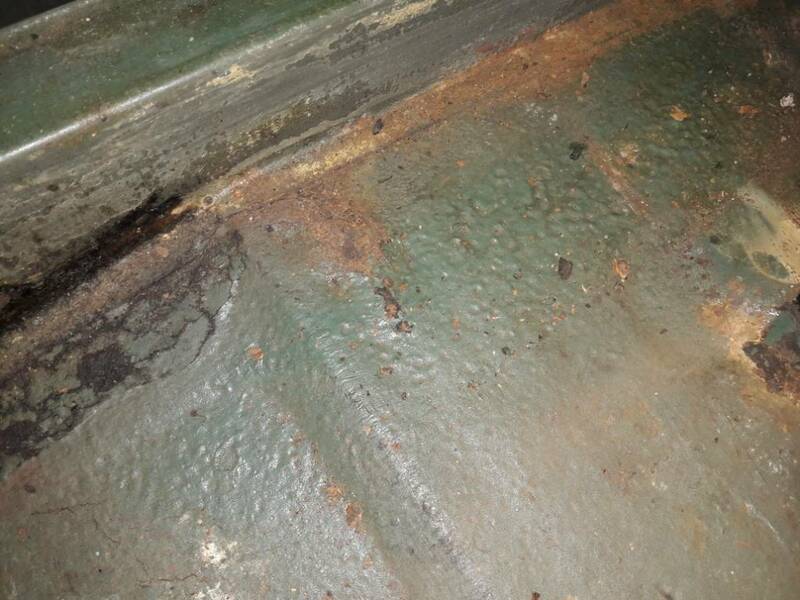 The last picture shows the only obvious rot, this is above the NS cross member. 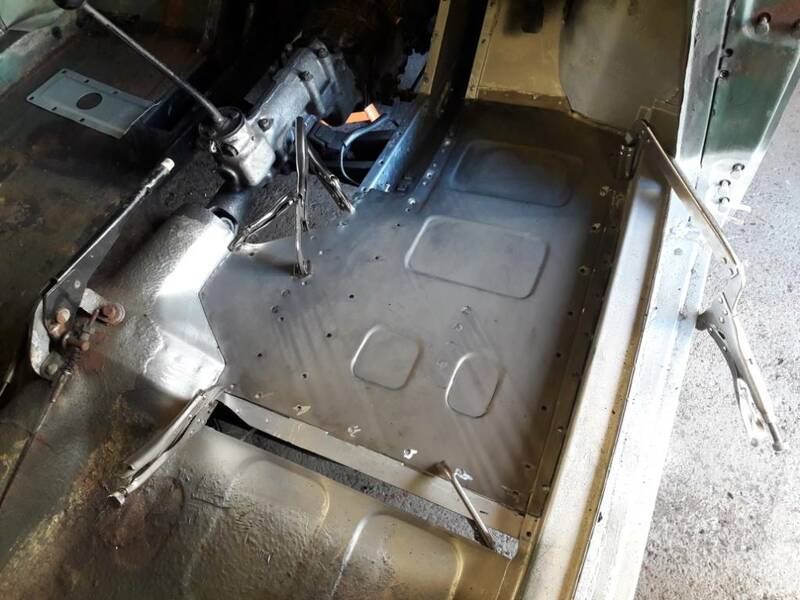 Decision made, new floor going in and chassis legs will be getting cleaned out painted and rust proofed while they are open. 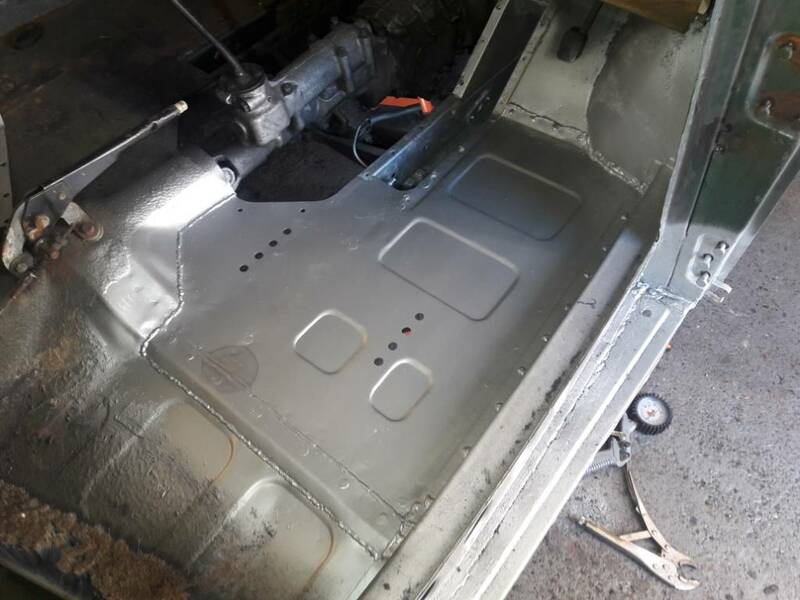 Floor panel trimmed and prepped for welding. 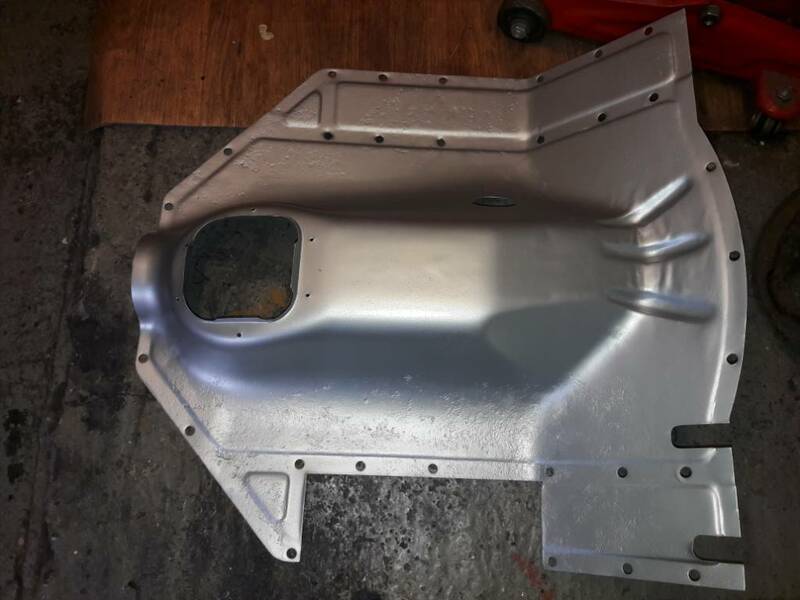 The fit of the pressing was not as good as I hoped and took quite a while to get it satisfactory. 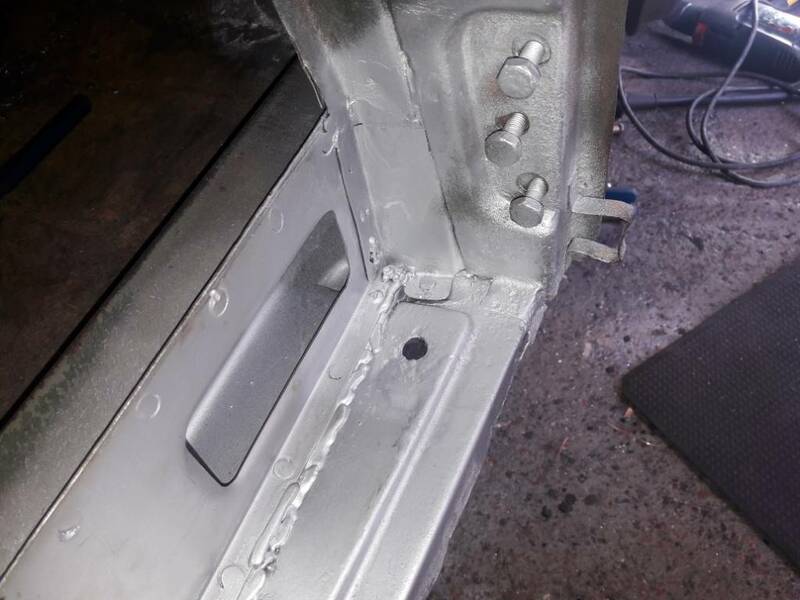 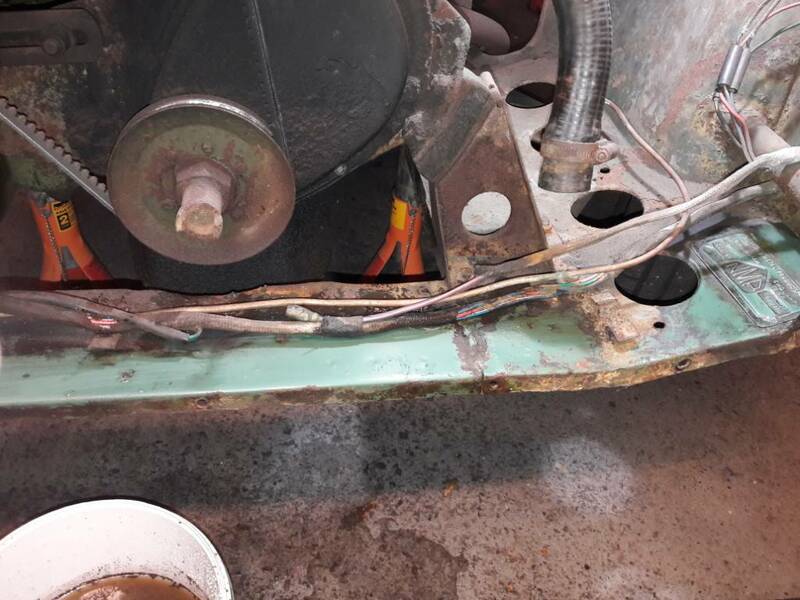 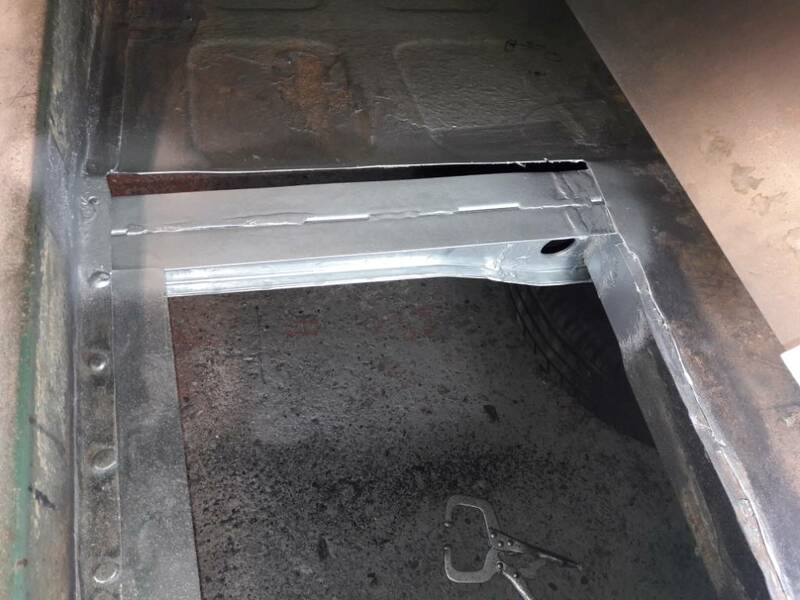 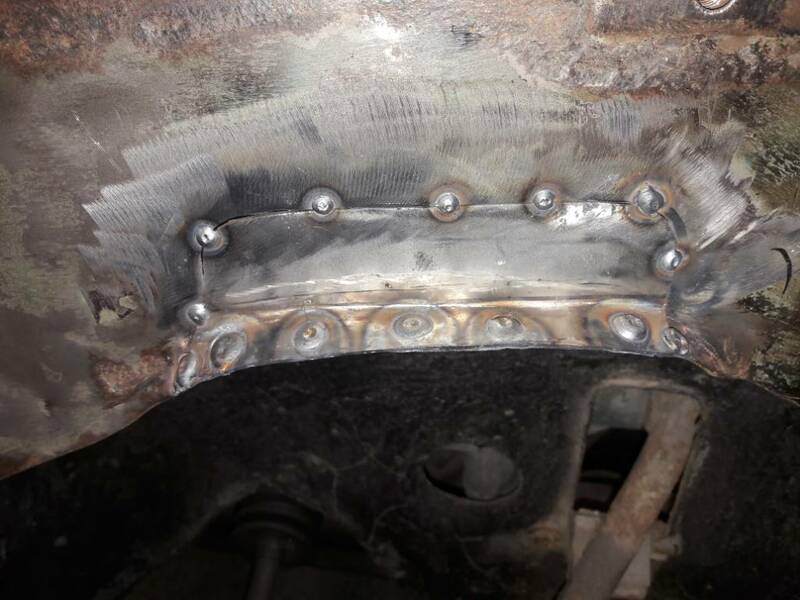 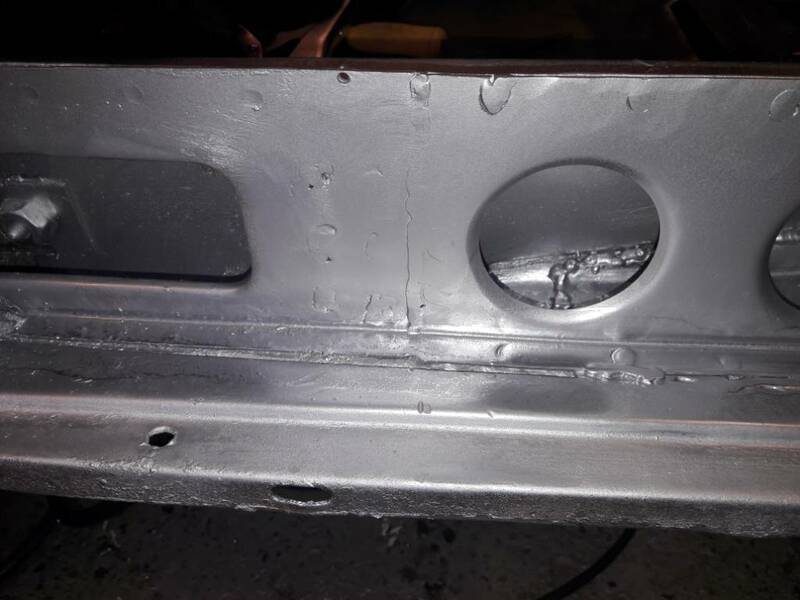 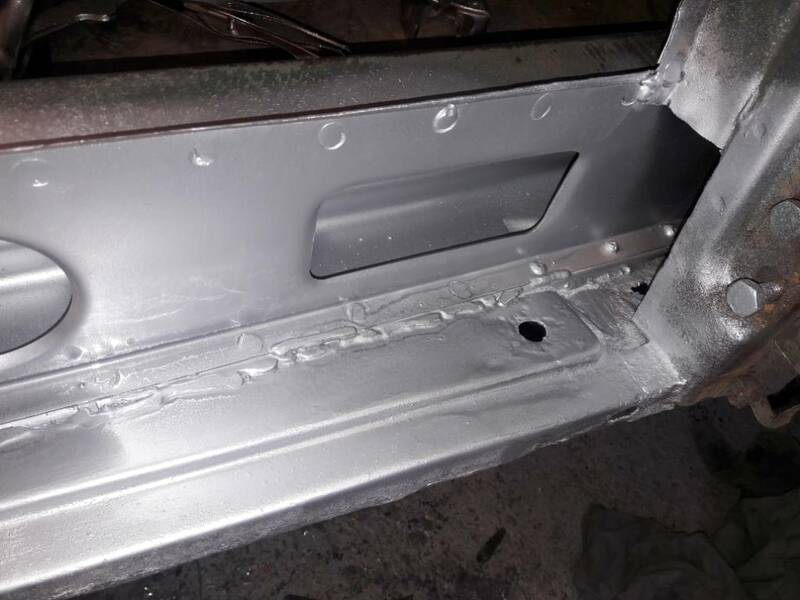 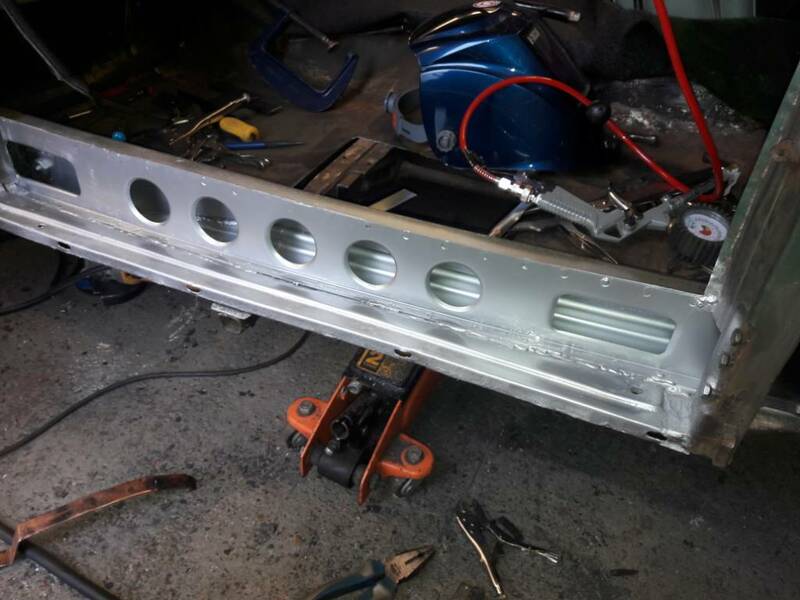 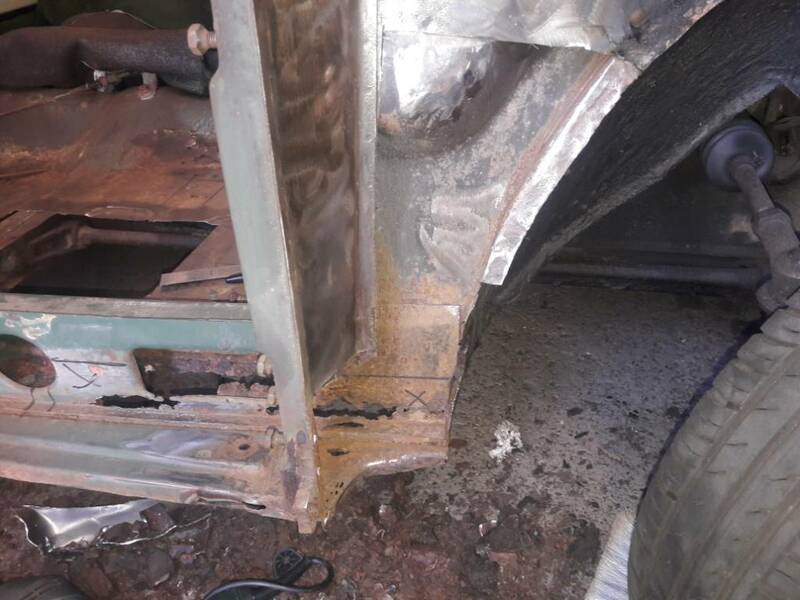 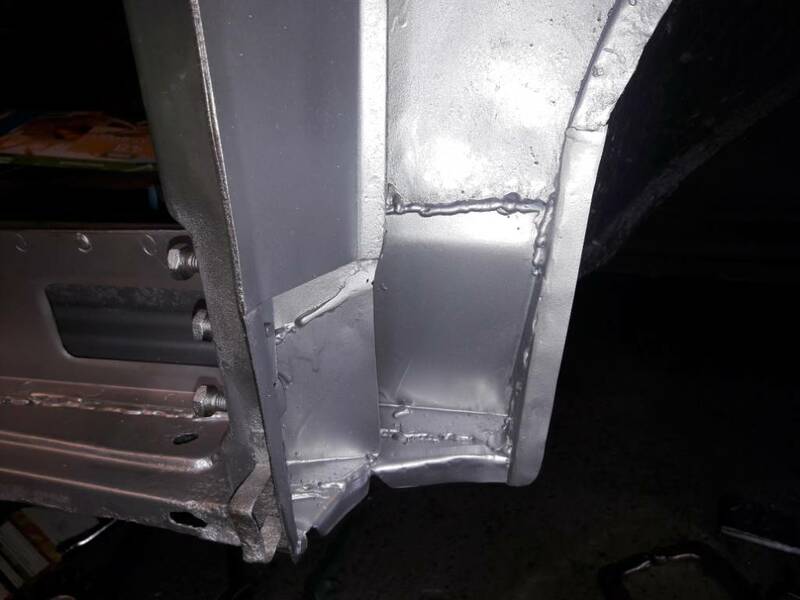 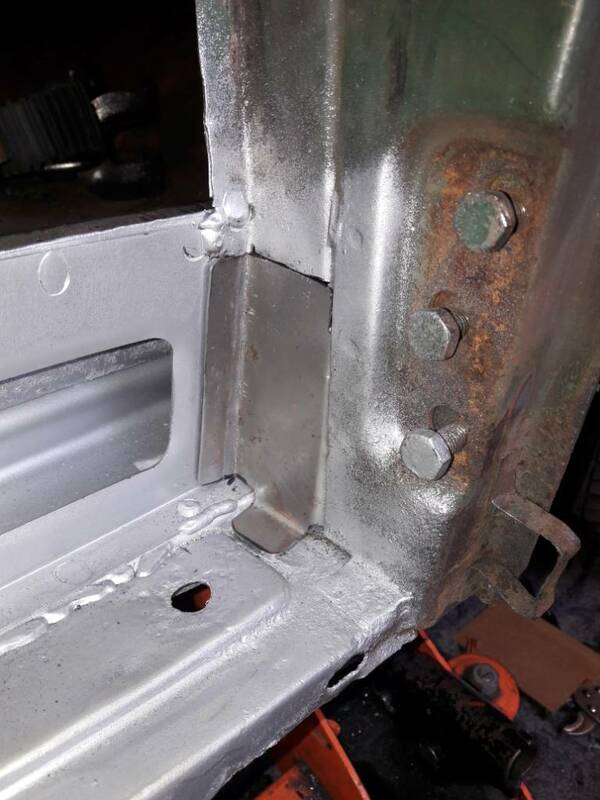 Floor pan welded in and bridging piece to rear floor pan done. 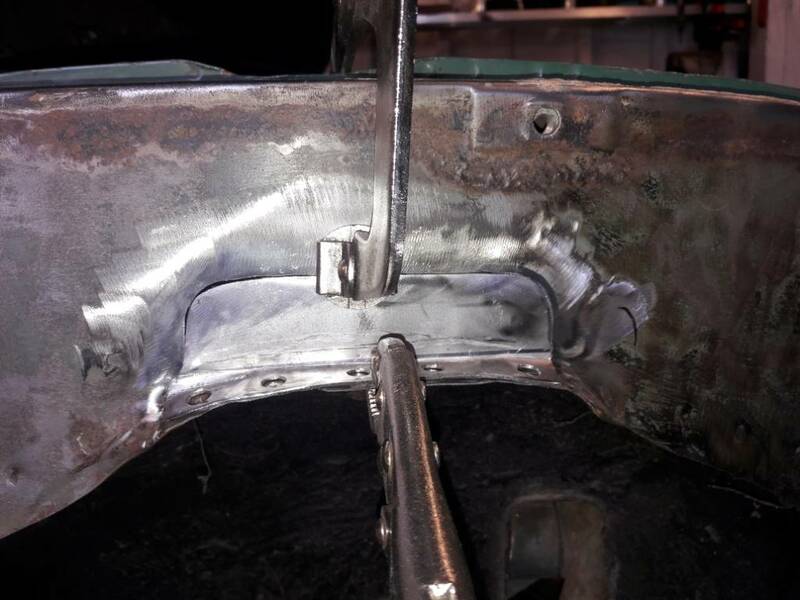 I am getting better with the Mig and no longer worried about blowing holes or finding more welding every time I clean something up. 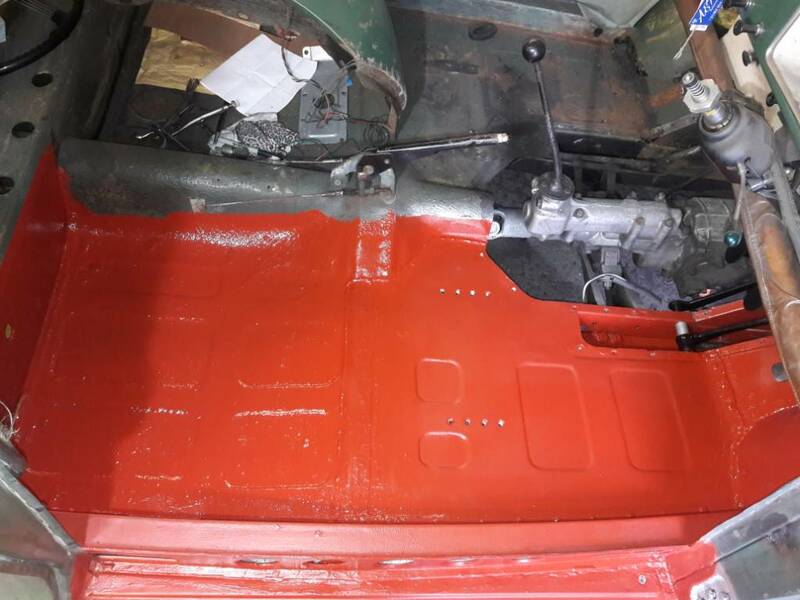 Seam sealer and a coat of red oxide was the order of today. 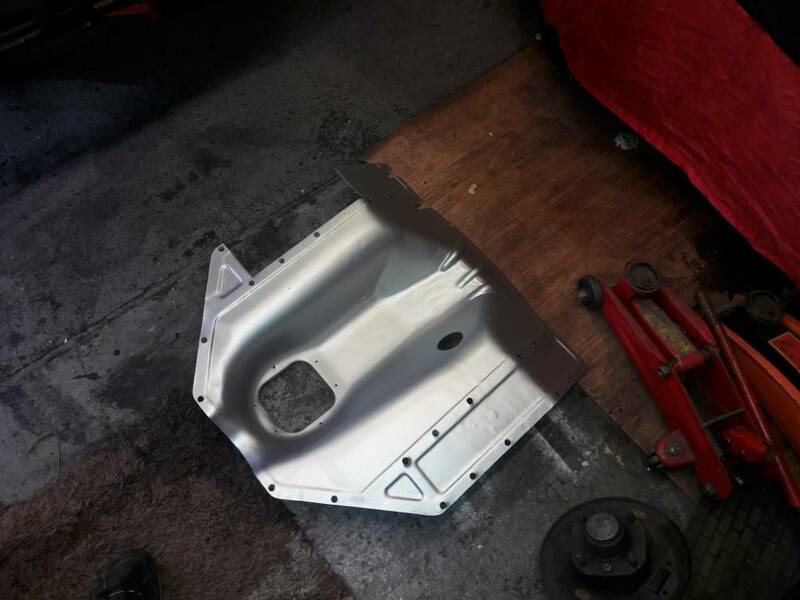 Followed up with a clean and paint of the gearbox cover. 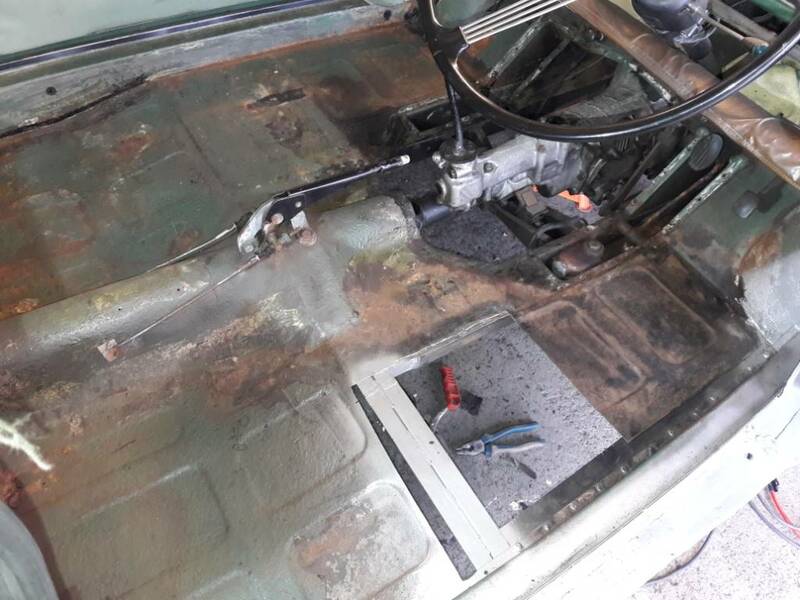 I decided to have another hour in the garage and remove the front panel. 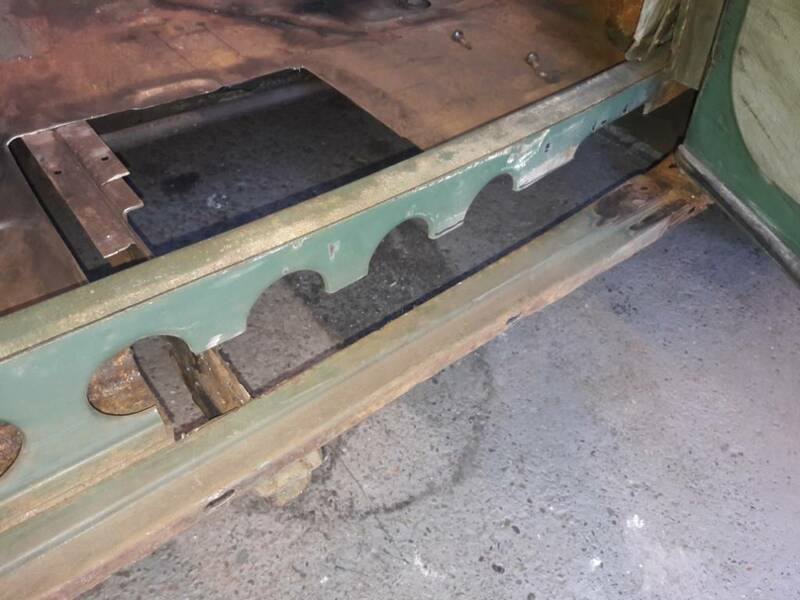 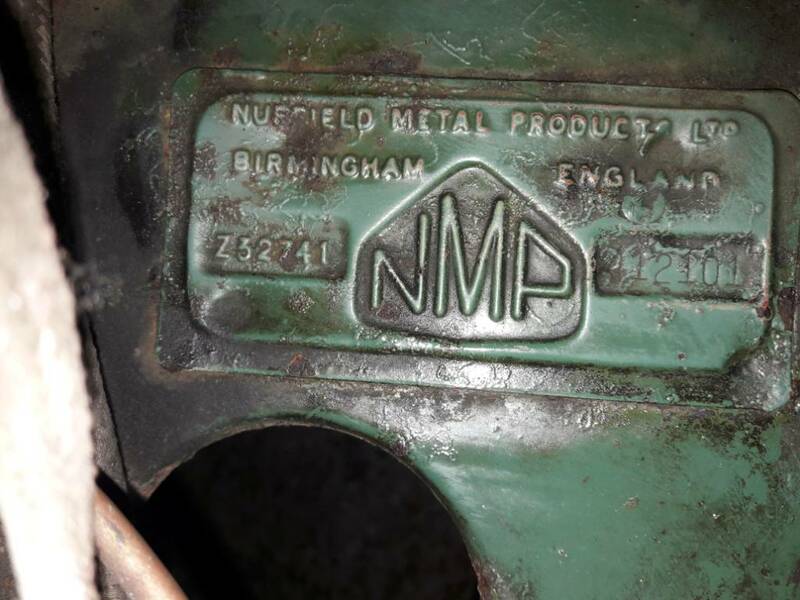 The front cross member looked terrible all flaky rust which turned out to be just years of grime and underneath was the original green paint. 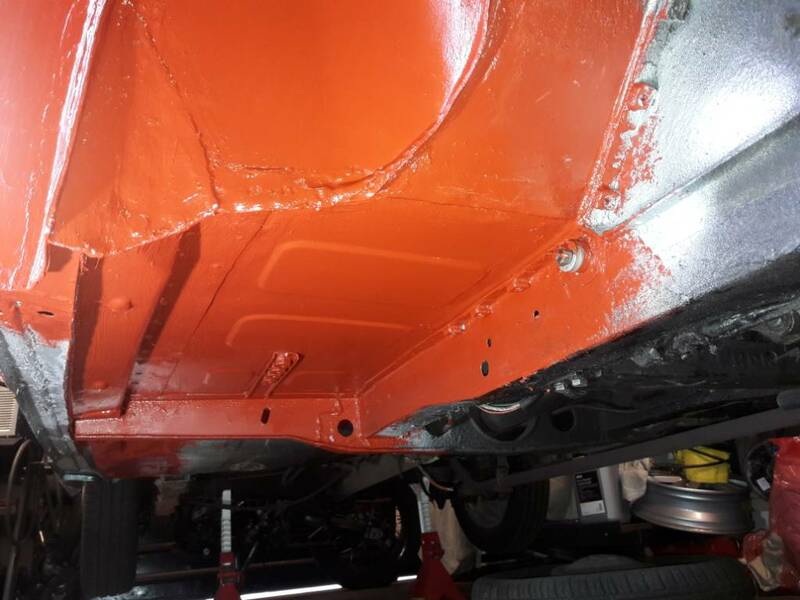 It was more like archaeology than car restoration cleaning year of grime away to reveal the true colour and the body plate. 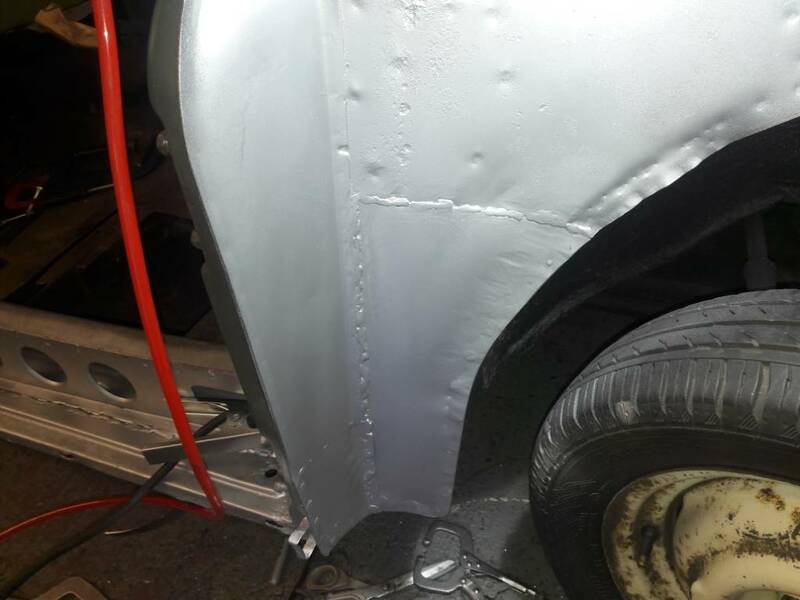 Love the shiny zinc paint what is it?